There's one sure way for Republicans and conservatives to lose the 2012 presidential election -- split over who their presidential nominee will be, and fail to go all-out to support the winner. He certainly would have supported John McCain in 2008. Tragically, if the party of Ronald Reagan had followed what would have been his lead, John McCain -- not Barack Obama -- would the president of these United States today. If Obama is not to be re-elected in 2012, Republicans need to get their act together, decide on a nominee, and back him or her to the hilt. Let’s look at some flaws of the current frontrunners. Both Romney and Perry, like the rest of us, have their share of flaws -- Perry for having signed an executive order to inoculate 12-year-old girls against HPV, and signing a bill to provide in-state tuition to illegal aliens. 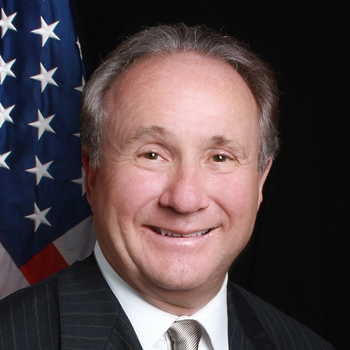 Michael Reagan is the son of President Ronald Reagan, a political consultant, and the author of “The New Reagan Revolution” (St. Martin's Press, 2011). He is the founder and chairman of The Reagan Group and president of The Reagan Legacy Foundation. Visit his website at www.reagan.com. ©2011 Mike Reagan. Mike's column is distributed exclusively by: Cagle Cartoons, Inc., newspaper syndicate. For info contact Cari Dawson Bartley. E-mail Cari@cagle.com, (800) 696-7561. For information on how to book Michael Reagan for your next event, visit PremiereSpeakers.com/michael_reagan.